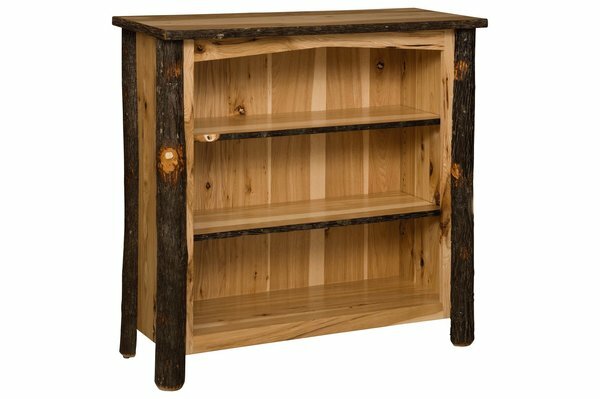 Explore the beauty of the outdoors with the Rustic Bearlodge Bookcase from our Blue Mountain Furniture Collection. Standard with live edge hickory twig frame and available in two different height options and a variety of wood & finish options. Order your bookcase exactly as shown by simply clicking the "Buy-As-Shown" button above or create a custom look by selecting the options that will best match your personal style & home decor. Shown in Hickory with Natural Finish.